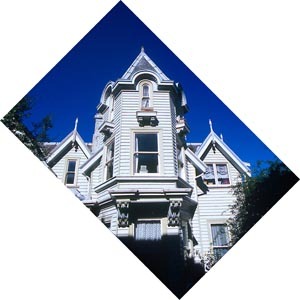 Hulmes Court Bed and Breakfast Accommodation Dunedin is a beautiful 1860s Victorian mansion located in the centre of Dunedin New Zealand. 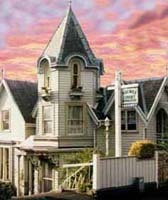 Hulmes Court B&B is an architectural treasure situated right in the heart of Dunedin. Hulmes Court B&B provides quiet, comfortable, friendly Bed & Breakfast accommodation when you are in Dunedin visiting our wonderful attractions, such as the Otago Peninsula with Larnach Castle, Albatross Colony, penguins, seals, and wonderful walks, the southern hemisphere's finest Victorian architecture, New Zealand's oldest university, excellent night life and vitality that comes with being a busy university town. There is also the Taieri Gorge Excursion Train, Botanic Garden with world renowned rhododendrons, Hocken Library, Speights Brewery and much more. Only 3-minute walk to town. Relaxed, safe, quirky, intelligent, friendly, helpful, quiet. Free: wireless internet, laundry, off-street parking. Plus Solstice and Jimmy Cats. We make your stay EASY :) Norman (49) and his wife Zina (30) (who is fluent in Russian) are your hosts, we are well educated and travelled and have a number of other businesses. Our team of co-hosts are local female university students. We reflect the atmosphere of this lovely college town. There is plenty of off-street parking in our grounds of trees and gardens, providing tranquility from the hustle and bustle so near by. You can move indoors, sit in front of the large marble fireplace and enjoy fine conversation in the Victorian drawing room. Your host Norman Wood and his staff are frequent travellers around New Zealand and the world. We will provide you with a warm, friendly and informative stay in our beautiful city. Welcome! please come inside and visit our site. And of course, please come and stay we would love to meet you.